Gallatin, TN – Procurement Technical Assistance Centers (PTACs) across the country today are celebrating their first annual National PTAC Day, a campaign to honor the collective contracting successes of small businesses that have benefited from training and technical assistance from their local PTACs. In 2017 alone, PTACs helped over 48,000 clients win more than 166,000 government contracts and subcontracts valued at more than $20 billion! Dozens of events will be held to mark the day – from Maine and Puerto Rico to San Diego, and many states in between – not only recognizing successful PTAC clients but providing additional training and networking opportunities to help small businesses expand their contracting success. 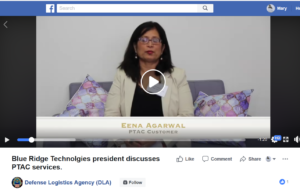 In addition to these live events, the Association of Procurement Technical Assistance Centers (APTAC) is sponsoring a national webinar, Top Tips for Finding and Winning Government Contracts, featuring a panel of PTAC experts sharing their best advice with those interested in government contracting. Nearly 1000 small businesses are expected to attend. A Proclamation from the Governor of Arkansas, proclaiming September 26, 2018 to be “PTAC Day” in the state of Arkansas. 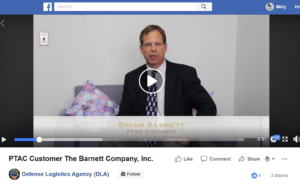 A series of videos posted by the US Defense Logistics Agency of PTAC clients sharing about the help they received from their PTAC. To learn about National PTAC Day activities near you – contact your nearest PTAC.